Many learning professionals are unwilling to host their own webinars, as they assume that being a successful webinar host requires skills they do not have. In this article, I’ll share the top 7 tips to help you through this process and make sure that you become a webinar host who highly engages and captivates their attendees, whoever they are. Connecting with your audience through a webinar goes beyond the capabilities of social media, your website, or your professional blog. It breathes life into your eLearning content, it generates trust between you and your attendees, and it offers you the opportunity to create new connections and form prosperous professional relationships. Needless to say, being the host of your own webinar means that you have complete control over its flow and outcome. But is this something you can do? Would you be able to deliver engaging eLearning content and interact with your audience at the same time? Could you stimulate their curiosity, inspire them, and maintain their interest up to the last minute? Of course you could. In this article, I will share 7 tips on how to be a successful webinar host so that you can be sure that you feel relaxed and highly professional while you deliver a flawless, entertaining, and stimulating webinar. Pay attention to the sound. Find a quiet or, even better, a sound proof room to record. Furthermore, consider not using a wireless internet connection; instead use a land line, to avoid technical problems. Speaking of technical problems, keep in mind that during your webinar you need to be focused on delivering your content. Have an assistant who knows how to handle technical issues, if they occur, in real time. Don’t rely on the built-in microphones in your laptop or desktop computer; use external mics. If your webinar includes multiple speakers, equip yourself with a high quality speakerphone. Don’t underestimate the power of practicing multiple times before going live; practice makes perfect. To make sure that your voice overs are effective, you will need to make sure that you remove every “uhm” and “err” from your vocabulary, and practicing will help you gain more speaker confidence. Ask for feedback as often as possible. Have someone to listen to you and offer you their honest opinion. Ask them to share one thing you did well and one you can improve. Is your vocal pace ok? Are you speaking clearly? How about your tone? Is it friendly or too serious and flat? Ask them to listen again and again while timing you, to make sure that you don’t end up having to rush through your last slides. Furthermore, consider recording yourself and reviewing the footage to see what is working and what is not. What is the best way to introduce yourself? Certainly not reading a long bio or a slide that lists your agenda; these are ways to rather ensure that you lose your listeners’ interest. Narrate a story; sharing your story and explaining what brought you there will establish trust and develop an emotional connection between you and your audience. Just remember to keep your story brief, personalize it with a few suspense elements, and conclude with a strong ending. A great trick is to also smile while you’re telling your story, as it helps elevate your voice; your listeners will be able to feel your enthusiasm about the online deliverable. Grab and hold your audience’s attention. The average attention span of a typical audience is about 10 minutes. Webinar audiences are worse; you are competing for their attention with their computer screens, their always open social media accounts, and their email inboxes. This is why it is important to not only grab their attention, but also hold it. Limit the text in your slides and avoid overloading them with bullet points. Instead, get your audience involved with an interesting mix of interactive questions, mini challenges and tasks, rich images, compelling videos, and even music. Imagining that you’re speaking to a friend or colleague. If you have, say, 150 attendees listening, you are actually having 150 one-to-one conversations. This may sound overwhelming, so try to visualize a friendly face you are talking to. Breaking your presentation up by using Q&A. Q&As are a great way to maintain interactivity. No one wants to listen to one person talking endlessly, no matter how smooth is their voice. Addressing your audience by using “you” in your sentences. Don’t say “Today I’m going to be sharing…”; instead say “Today you will learn…”. Don’t ask “Does anyone out there have a question?”; instead ask “Would you want to ask me something?”. Utilizing the word “you” makes your audience feel more engaged. Don’t be afraid to throw in a funny comment; just be sure that your humor is politically correct and relevant. Use interesting real facts and examples to support your message. Hearing real life experiences and thinking of how to apply the same solutions to one’s life is one of the most effective ways to learn. Filling your webinars with multiple boring graphs and figures will not captivate your audience; using real world scenarios, case studies, and examples will. Real success stories, research, and beautiful infographics that back up information are great ways to support your message and help it get across. Explain why certain strategies work and others don’t using real facts and make sure that your audience will want to remember everything you are talking about. Remember that your voice is the connection. Of course you will need to make pauses while you’re talking. Use them, but keep them short; don’t allow more than 2 or 3 seconds of silence, otherwise your audience might think that they have lost their sound. And if you are to be silent, let your listeners know. For instance, when you want to give them some time to read something, tell them “I will now let you read a few lines about…”. Webinars are here to stay. 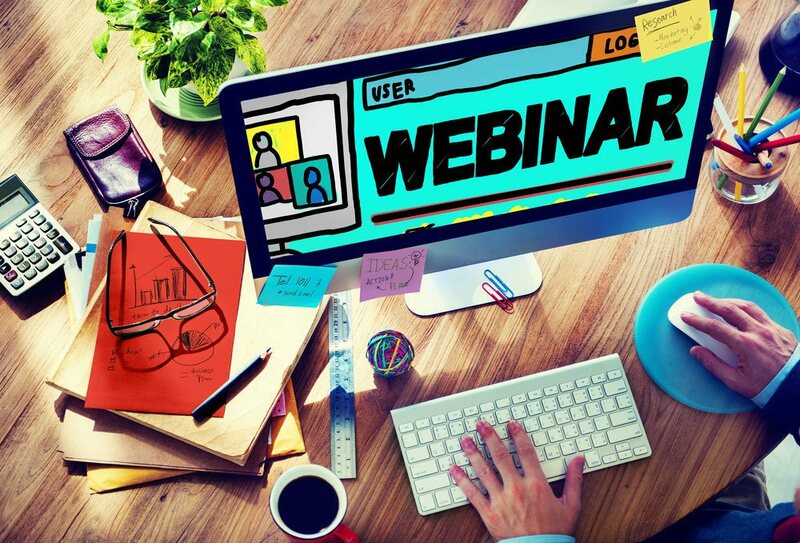 Follow these tips on how to be a successful webinar host and be sure that not only you have complete control over this indispensable eLearning tool, but also your audience keeps coming back for more. Now that you know how to be a successful webinar host, you may be interested in learning more about eLearning narration. Read the article 7 eLearning Script Writing Tips To Perfect Your eLearning Course Narrative and discover some invaluable tips that can help you create an eLearning course narrative that is powerful and polished.